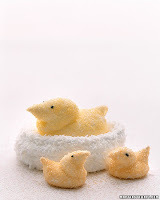 and of course, homemade peeps. 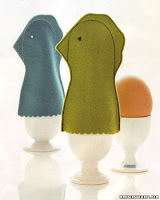 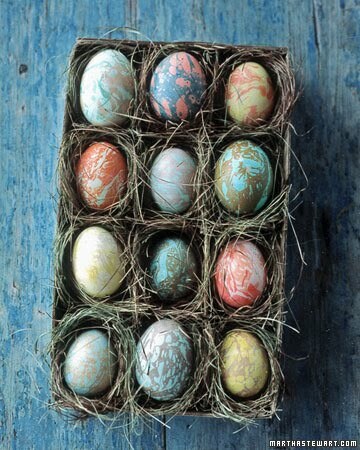 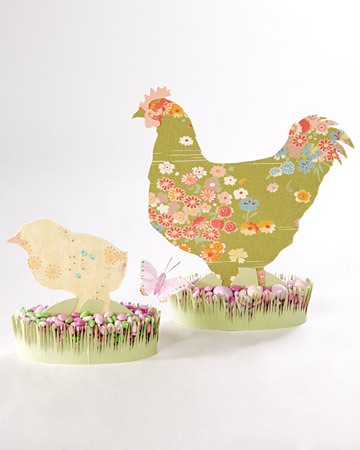 1. cover cheapie plastic eggs with some of the patterned tissue paper i have on hand. 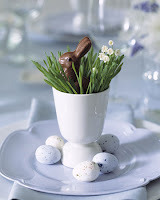 2. make coconut macaroon nests with chocolate eggs, and make marshmallow crispie rabbits. 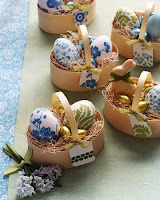 3. make a dogwood blossom shaped easter basket for e with the super thick packing felt i have been saving.